Could it be that Heidi is really an ultra conservative. So she can't leave her man has it goes against her traditional values and faith. You better be crying because of the breakup, and not because she's "mentally abusive", fatass! And you better be asking Token for advice on how to win her back!! YES!!! I WAS RIGHT!!! PRAISE THE LORD!!!! Might as well let this one play out the way it will. There’s a lot to speculate but I really don’t want to speculate too much. Oh, you know Token doesn't want Cartman at his place, let alone help him win Heidi back (of course, this being Cartman, and Heidi resisting peer pressure, Cartman could be faking it). He isn't faking it! Over-exaggerating it? Definitely! But he isn't faking it!! I'll give you that, as he'd be lying for drama. But he isn't faking it!! We'll just have to see about that, heh. Yeah, we will. But he isn't faking it, he does care for her. Are you watching the same show I am? When in this season has he shown that he cares for or about her? Hmm, maybe when he threatened to commit suicide unless they got back together, or maybe when he went straight to the cops after he ditched her in the woods (even though he could have just left her there, and forgot about it), or maybe it was when he balled his eyes out at Token's doorstep after they broke up. Are you sure you're paying attention? Just a side note, this is the same kid who wanted to kill his mother, even though he cares deeply for her. Not to mention him wanting to kill most of his friends from time to time, even though he cares about them. He does love her, but he just doesn't know exactly how to show it. How are you so unknown to this??? 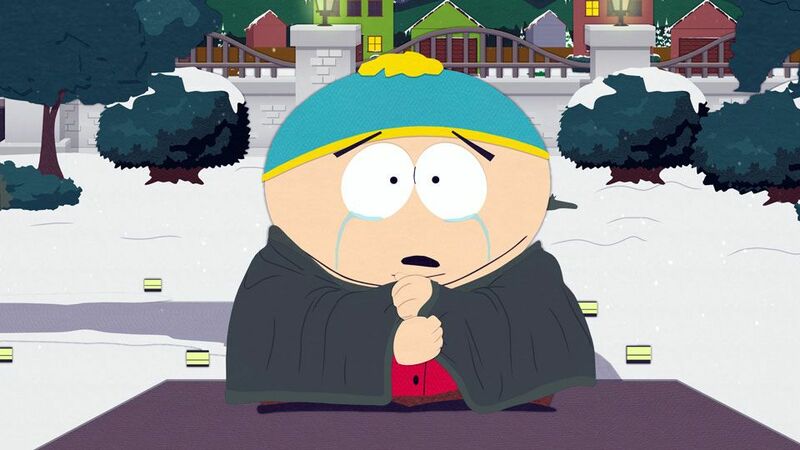 I’m NOT definitely gonna watch the new episode anyhow...It’s because I’m scared for Heidi and Cartman right now. Man why is the show so obsessed over relationships recently. Relationship dramas are the worst kind of episodes. Also lmao @ everyone quoting the image last page. Remember what I told you on DeviantArt. It's not the end of the world. I guess you're right. It's not the end of the world and not the end of Heiman. I was kinda worked out.